An emulation of the default sounds on a Kawai K1 from 1985. 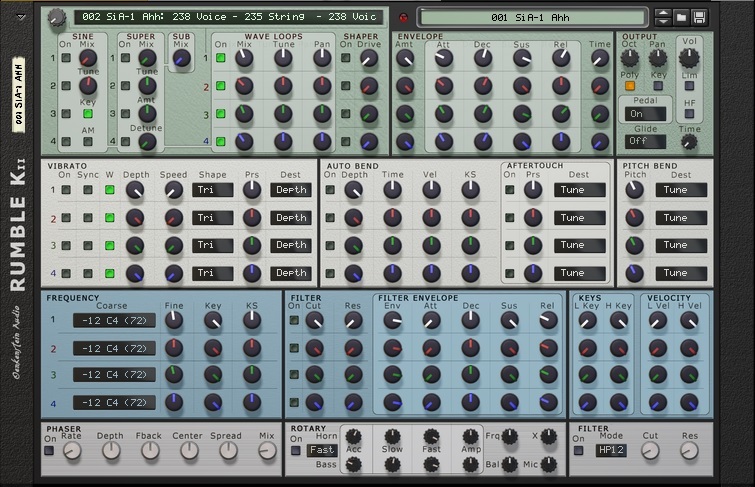 Rumble K2 Player is a Rack Extension for Propellerhead Reason 7.1 or higher. 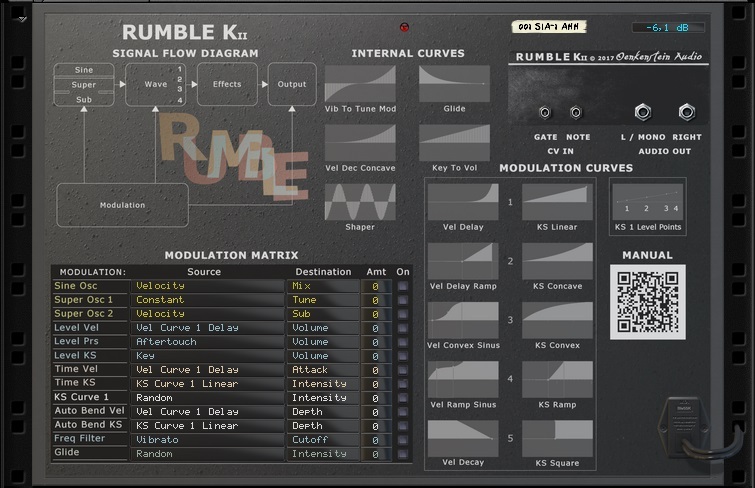 Based on the Kawai K1 digital synthesizer from 1985, Rumble K2 Player contains all the default instrument patches found on its hardware equivalent. The patch library consists of 96 sounds, a true emulation of the default sounds on the Kawai K1. Additional 84 signature patches made by Navi Retlav, Wongo the Sane, Buddaka and Loque. Combinator patches providing functions from predecessor Rumble K1 in its programmer: Amp envelope, Vibrato, Auto Bend, Keys, Glide, Filter. Modulation Matrix on the back panel. 3 effects: Phaser, Rotary and Reverb. 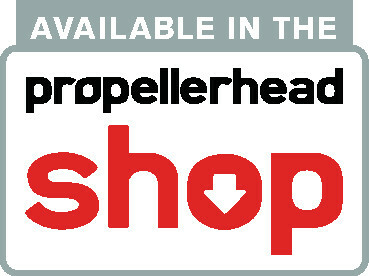 Rumble K2 Player Rack Extension is available at the Propellerhead Shop.